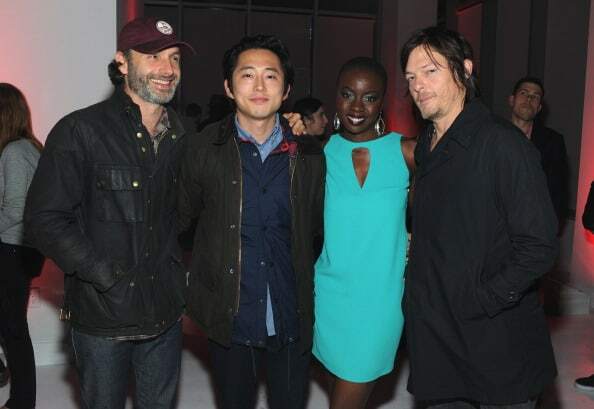 The Walking Dead has been AMC’s biggest hit for the past five years and everyone is awaiting its return. 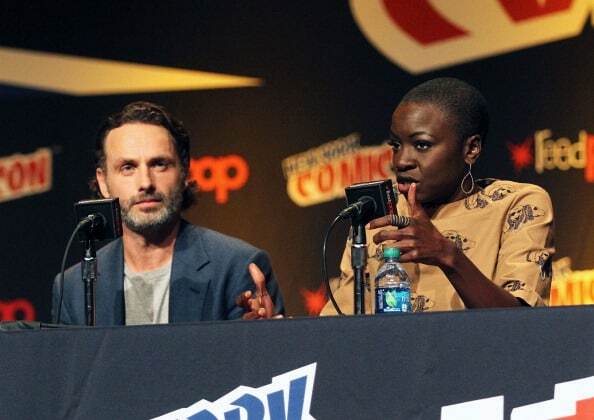 Given the show produces skyrocketing ratings, like the 16.1 million who tuned into last 2014’s fall premiere, it’s no wonder AMC is loving its prized possession. Did you know that particular episode even outperformed The Winter Olympics in the coveted 18-49 Demographic? Not bad. 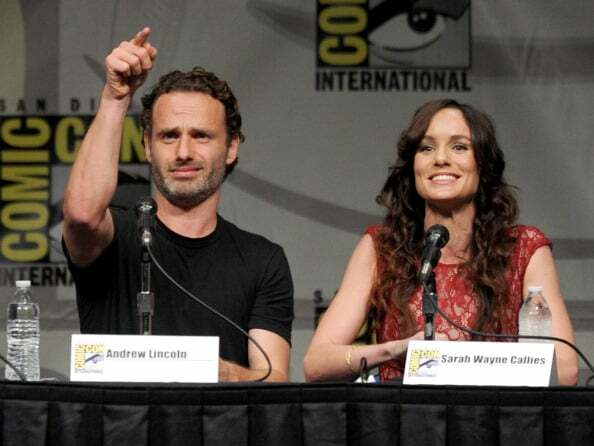 One of the reasons for the show’s success is Andrew Lincoln. Lincoln stars as the anti-hero Rick Grimes on the popular series. Here are a few fun facts you may not know about the talented actor. 1. 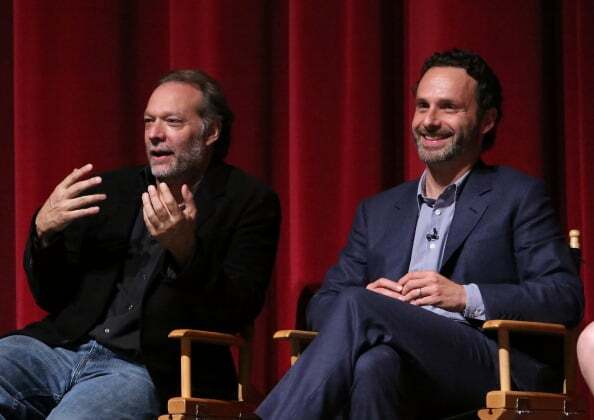 For starters, his name is not really Andrew Lincoln. He was born Andrew James Clutterbuck. He chose the stage name while attending college. He thought the last name Clutterbuck sounded like a poor character in a Charles Dickens novel. 2. Lincoln is an amazing cook. 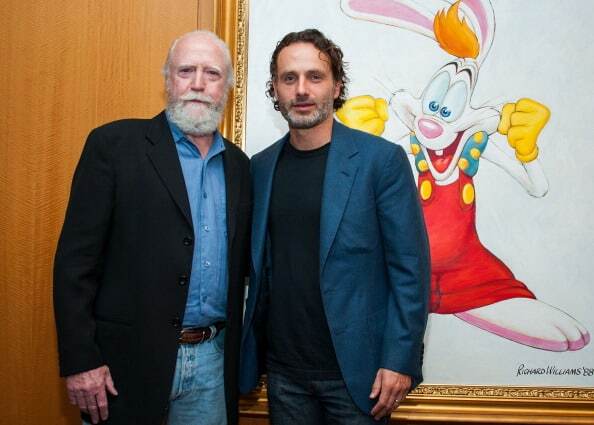 In between shoots, he has been known to invite the cast of The Walking Dead over to his home for dinner. Co-star Steven Yeun enjoys his spaghetti Bolognese. 3. While in high school, Lincoln played rugby. He was pulled out of the sport and encouraged to take up acting. Lincoln only agreed because he thought it would help him get girls. He tried out for the school’s production of Oliver! and won the role of The Artful Dodger. 4. Lincoln made his first appearance on-screen in the 1994 episode, “Births and Deaths,” of the sitcom Drop the Dead Donkey. Never heard of it? It is a show set at a fictional TV news company. The show ran for six seasons and aired in the United Kingdom. 5. Lincoln hard a hard time falling asleep after filming the scene from the season three premiere where Scott Wilson’s character gets axed. “I couldn’t sleep for two and a half hours. I was so wired. It was largely down to the fact that I had an axe in my hand,” he said in an interview. 6. Jon Bernthal is one of Lincoln’s closest friends. 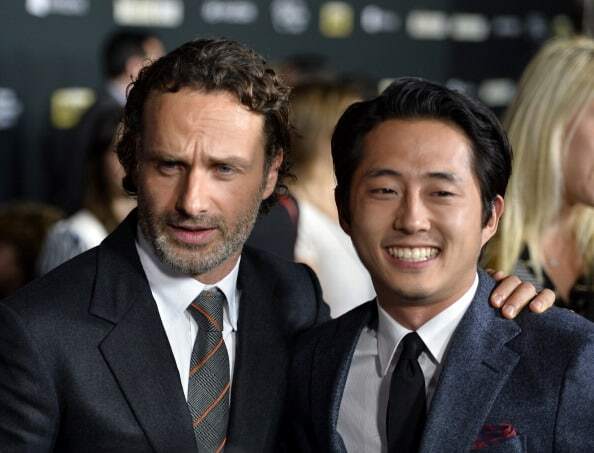 The duo tested for The Walking Dead pilot together during the audition process and were the first regulars cast for the show. 7. Lincoln provides numerous voice overs for both radio and television advertising in the United Kingdom. He has even narrated some documentaries. Some of the products he has endorsed include AOL and Adidas. 8. 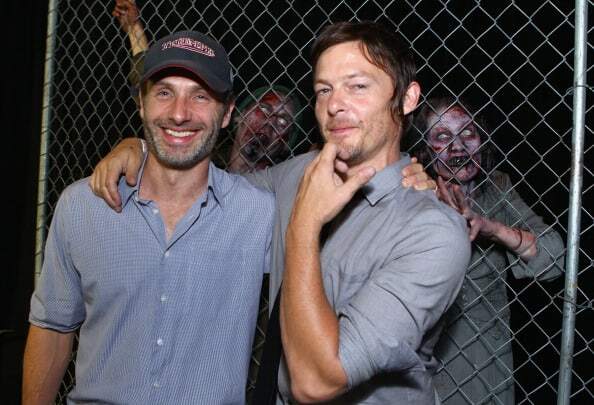 Though he has perfected a Southern accent for his role on The Walking Dead, he is actually British. The 40-year-old was born on September 14, 1973 in London. 9. 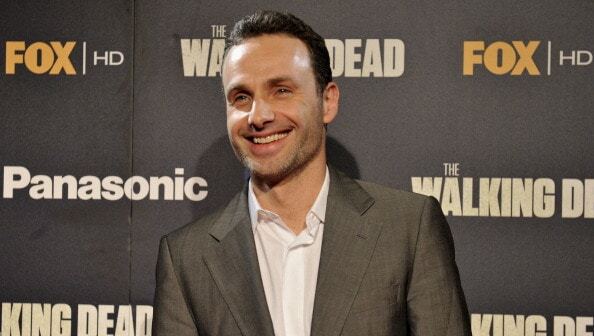 Lincoln has won two awards for his performance as Rick Grimes. He won a 2014 People’s Choice Award for Favorite TV Anti-Hero and a TV Guide Award for Favorite Actor. Lincoln has also been nominated for a BAFTA award for directing two episodes of the TV show Teachers. 10. Lincoln can also call actress Gwyneth Paltrow and singer Chris Martin close pals. Paltrow and Martin’ daughter Apple was the flower girl in Lincoln’s wedding to Gael Anderson on June 10, 2006. The couple have two children: Arthur and Matilda. 11. Lincoln’s first major exposure in the United States came when he starred in the 2003 romantic comedy Love Actually. He played the character Mark who is Peter’s best friend and best man. Mark is secretly in love with Peter’s wife Juliet played by Kiera Knightley. You are welcome. Thanks for visiting the site and reading the article. I knew most of these and have posted his scene in Drop the Dead Donkey on Upload Society. Would you be able to share the link for our readers to watch?